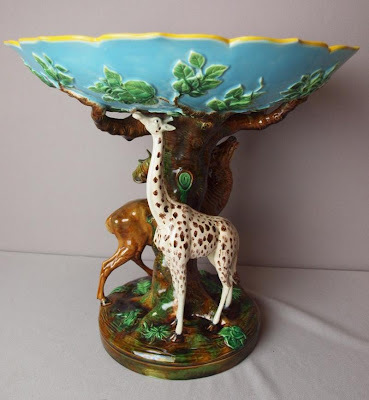 This extremely rare George Jones majolica comport has just been discovered and will be a part of our April 13 - 14, 2012 Spring Majolica Auction. Majolica Auctions will be traveling along the east coast south to Florida, west to Texas, north to Missouri and back to Indiana picking up Majolica, Oyster Plates and other Antiques the first 2 weeks of February. Contact Michael as soon as possible to schedule your appointment for him to pickup your items for the upcoming auctions.